I have been having a lot of fun lately trying to be crafty! It seems as although I’m a little bit more craftier than I thought I was, and I’m excited about it! 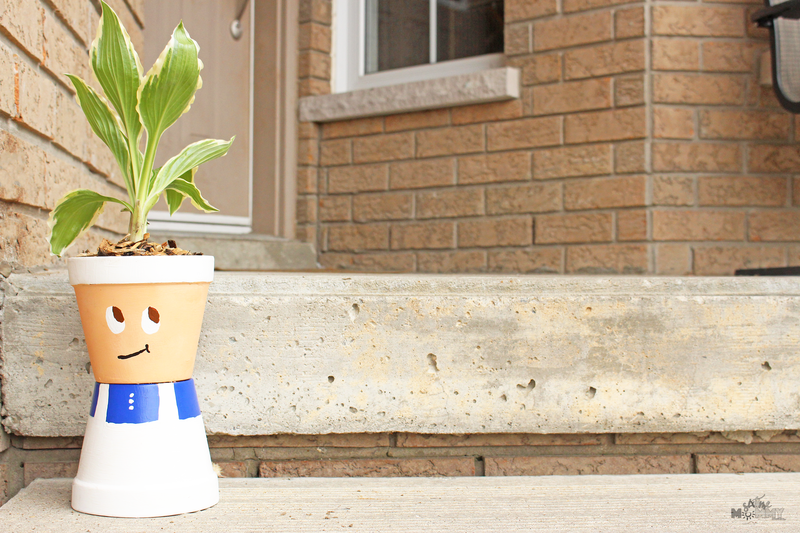 A few weeks ago I posted this adorable Terrcotta Pot Front Porch Piggy and it was a huge hit! I decided I would try my hand at making my husband something for Father’s Day, and what I ended up with I’m really proud of! 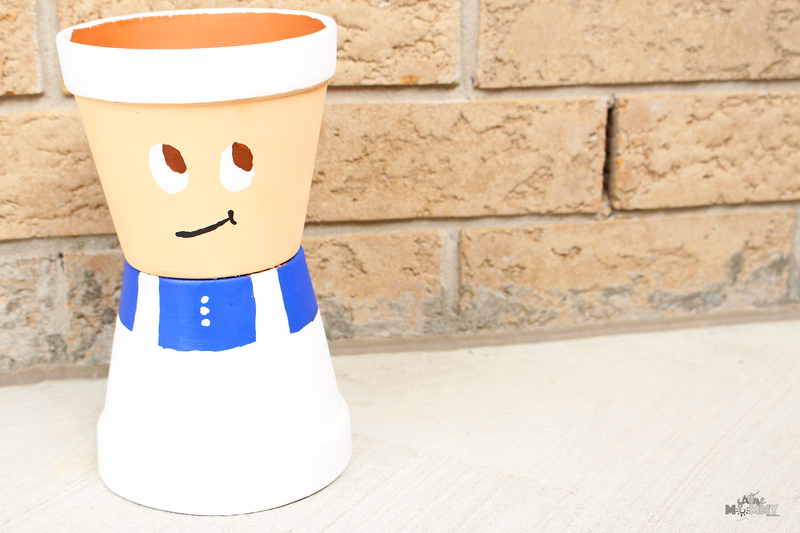 DIY Terracotta Pot Chef Plant Holder! 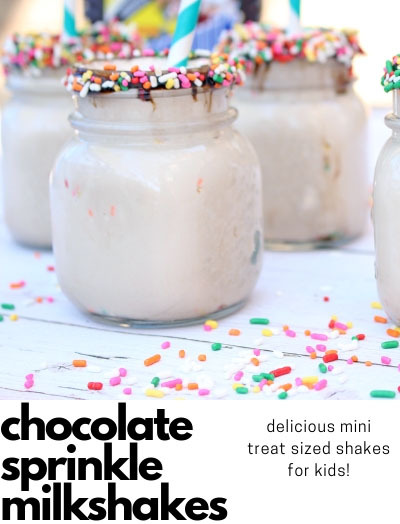 How adorable is this? 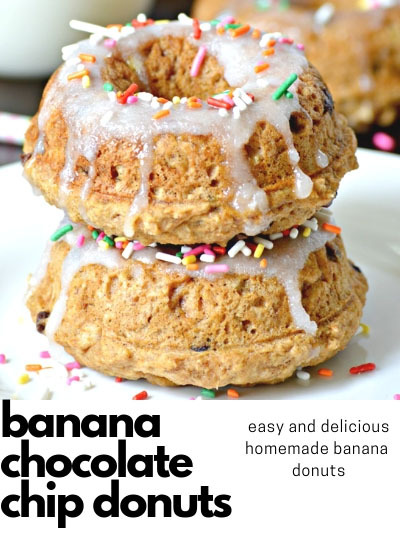 If you follow along over at his blog, Six Time Daddy you’d know he loves baking/cooking and this chef is perfect for him. I tried to make this guy look like my husband and I think it turned out pretty cute! Like a mini cartoon him, kinda. For this guy you don’t need as much as the Terracotta Pot Piggy, so it’s a little easier. 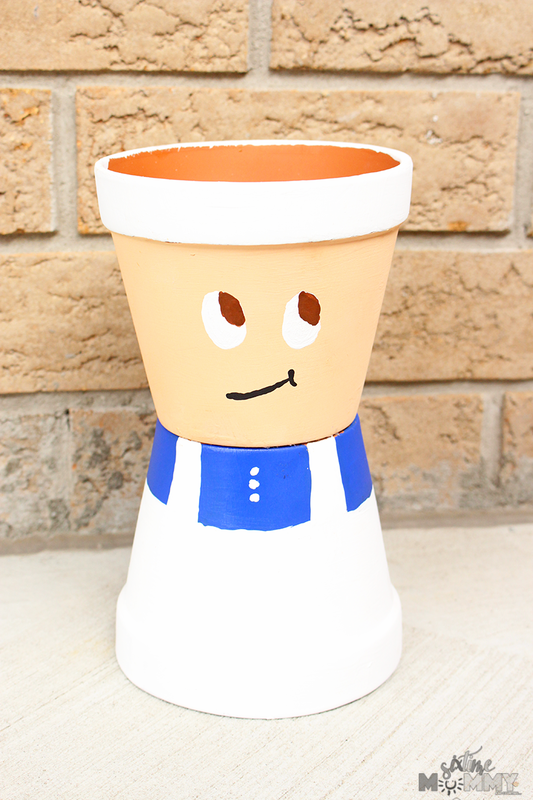 Paint your bottom terracotta pot. For this guy I used a pencil to draw on the white apron. Then I painted the blue shirt, before doing the white. Then I painted in the white – doing it this way made sure I didn’t get any blue paint on the white. I did this outside so it dried as I was still painting, which made it easier for me to quickly do a second coat. Once both pots are dried completely, I used the glue gun to glue them in place. Spray the finished product and let dry. I did an extra coat after it was dry just to make sure I did get every spot. Then plant your plant in the planter! Easy, peasy! I can’t get over how well it turned out. I hadn’t ever touched paint or a terracotta pot before the piggy, and now I think they are just adorable I love seeing what I can come up with for them. We have this guy out front of our house with a plant in it that Jackson grew at school. We had to transplant this plant that was in the plater, to the ground so it is now home to Jackson’s plant he grew and it looks so cute. We’ve gotten nothing but compliments on it and people are constantly asking us where we got it! 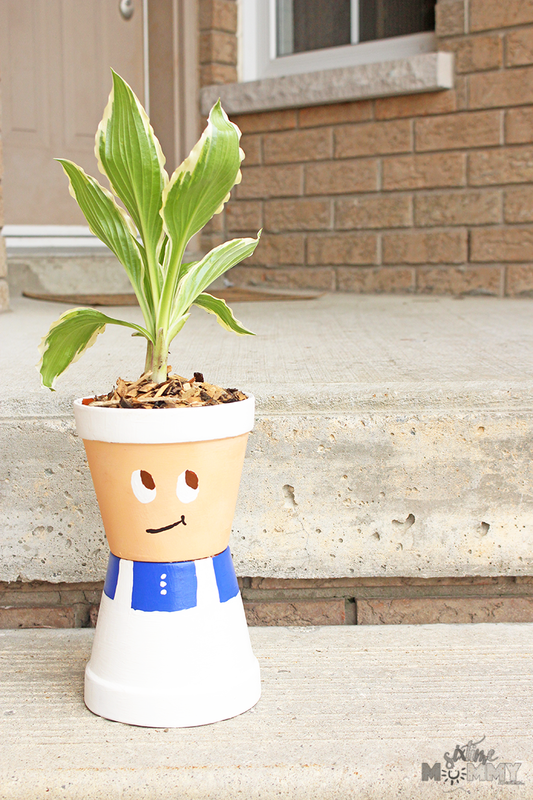 Perfect for Father’s Day, Birthday or just because – a chef planter makes any step look adorable! You of course, don’t have to do a chef. You can do many different people. I just chose a chef for my husband and its fitting! He absolutely loves it! What kind of pot would you create?